Removal of abandoned pipelines is costly, time consuming and unnecessary. 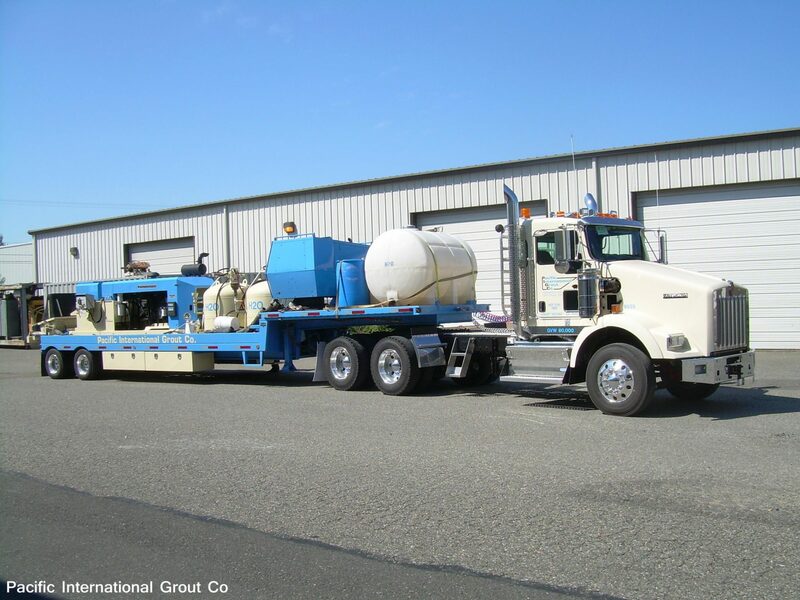 Pacific International Grout Company can help you abandon a pipeline without heavy equipment and with only minor excavation and inconvenience to surface traffic. Safely filling an abandoned pipeline requires experienced analysis of various factors. The fill material must be able to withstand the external pressure from soil compression and surface load surcharge. The fill must have enough strength to compensate for the future complete deterioration of the pipeline. Additionally, the material must be in a fluid state since granular solids will stack rather than flow, thereby leaving voids. 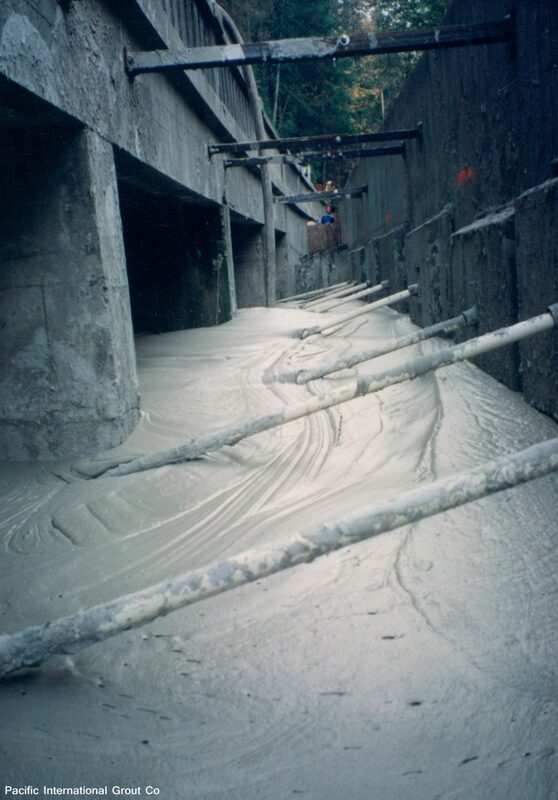 Low-strength, low-cement factor concretes, if sufficiently fluid (10”-11” slump) to be self-leveling, contain so much water that settling occurs. Solids and water rise to the surface which becomes the structural equivalent of a void. 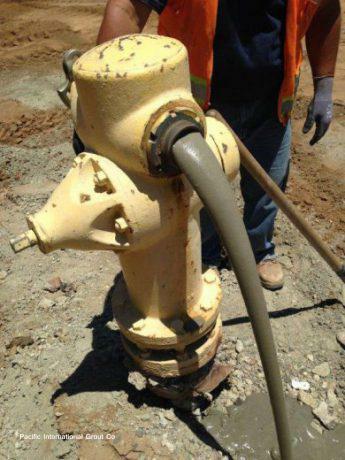 The same is true for low-strength grouts or mortars. 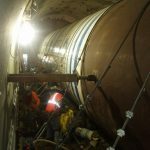 Pacific International Grout Company has extensive experience with the mixing and injecting non-bleeding, cellular concrete – the ideal material for use in filling abandoned pipelines. This product is non-shrinking in an enclosed environment. The density can be adjusted from 25 to 110 pcf and its compressive strength can be varied to meet the specific job requirements. 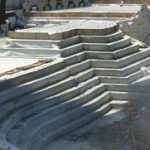 This material, composed of cement and water, is blended with a highly stable pre-generated foam. 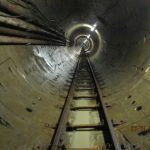 Cellular concrete is widely used for tunnel liner backfill, mine and other cavity fills which are subjected to geological pressure. 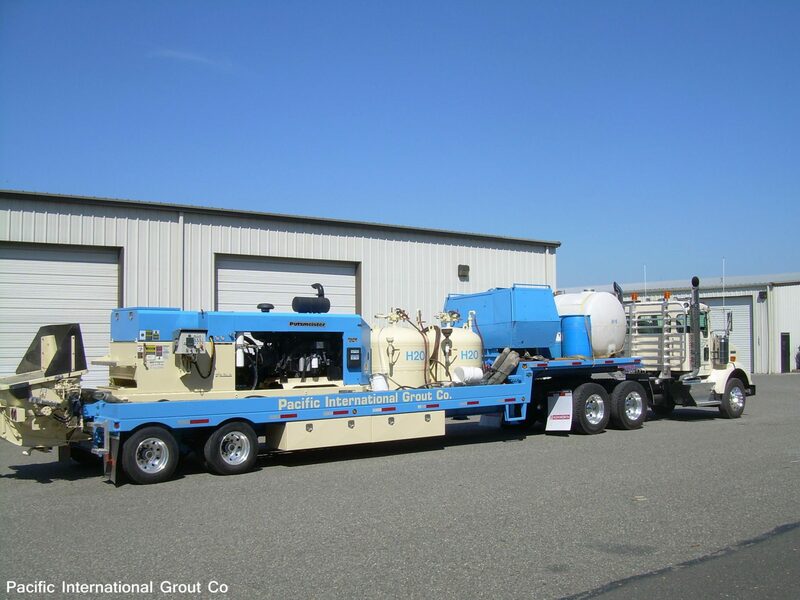 It can be placed by pumping at low pressures with rates up to 100 cubic yards per hour. Costs are generally low for the strength/density materials required for pipeline abandonment. 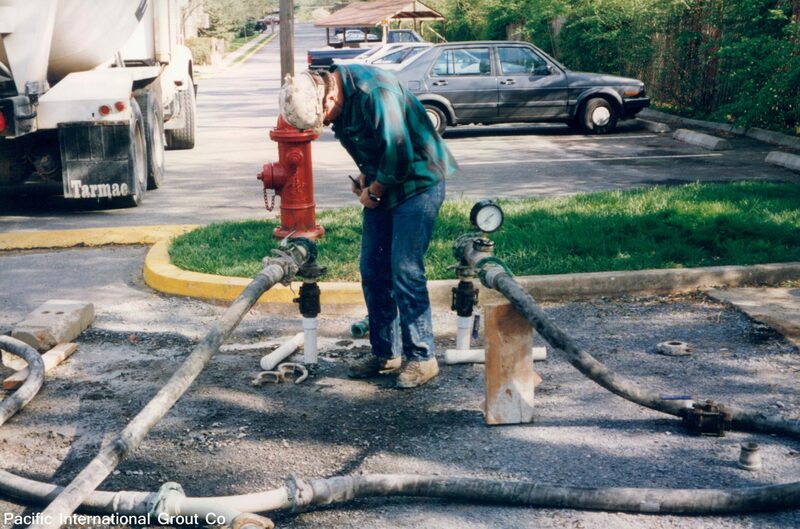 Volume and injection rates can be closely monitored to insure complete void-free fill and removal of pipeline fluids. 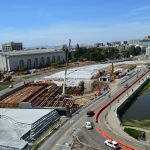 Filling is assured because concrete will readily overflow through inlet diameters as small as 2” so no preparation or excavation is necessary. When set, the material forms a stable, permanent, rot-proof mass stronger than the surrounding soil. Yet, it is light enough to be easily removed should it become necessary in the future. 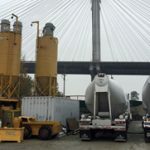 Pacific International Grout Company has the equipment, personnel and knowledge of low density cellular grout products to meet the tightest contract specifications at costs much lower than you might expect for your abandonment project. 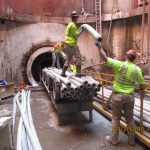 Pacific International Grout Company specializes in penstock filling or abandonment. Long penstocks filled with water from a reservoir with static head pressure may be filled at low injection pressure with non-shrink low cost concrete from a single injection port at the downstream gate valve.